Product prices and availability are accurate as of 2019-04-18 05:00:24 EDT and are subject to change. Any price and availability information displayed on http://www.amazon.com/ at the time of purchase will apply to the purchase of this product. What if you could take the pain out of printing labels? Better yet, what if you could create your own easily and affordably? 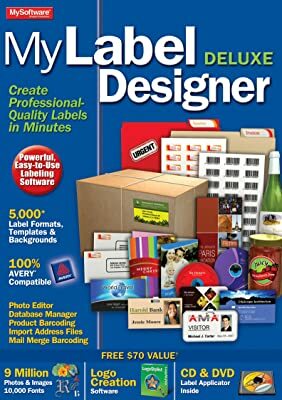 MyLabelDesigner lets you do just that. With a step-by-step wizard, and easy to use customization tools to help you select the size, layout and design of your label, you're well on your way to designing labels that fit your needs, saving you time, money, and frustration. 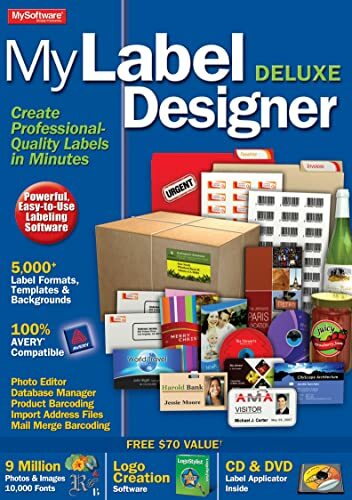 For Avery® compatible labels go to www.mysoftwareforms.com.